This is a brand new initiative for the Festival: a three-hour masterclass in a particular aspect of folk music held on the Monday morning of Labour Weekend. To help us test this idea is Festival favourite, fiddle and mandolin maestro, Lindsay Martin. Numbers are limited so there will be a focus on each individual and specific needs. Attendees should be current players, looking to develop their skills with Lindsay’s help. 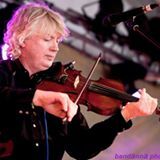 Lindsay says: “Playing the fiddle and mandolin can present many challengers but with some focused coaching everybody can improve their playing. Please note: Attendance at the masterclass is separately ticketed from the Festival.